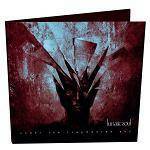 More information: Lunatic Soul is Mariusz Duda, the talented creator, singer and multi-instrumentalist behind Riverside. Under The Fragmented Sky is Duda's sixth studio album as Lunatic Soul and follows the acclaimed Fractured (both were recorded at the same time whilst Mariusz was facing tragic events in his personal life). The final track Untamed sees a guest appearance on drums for Wawrzyniec Dramowicz (aka Vaaver). The album was designed and illustrated by Polish artist Jarek Kubicki.